Indian High Commissioner to the United Kingdom Y.K. Sinha on Tuesday said that the governments of the two countries were closely working on the extradition case of fugitive liquor baron Vijay Mallya. NEW DELHI: Indian High Commissioner to the United Kingdom Y.K. Sinha on Tuesday said that the governments of the two countries were closely working on the extradition case of fugitive liquor baron Vijay Mallya. The Indian envoy further said that liquor baron’s extradition case was sub-judice and both the Indian and the U.K. governments were looking into it closely. “The matter is sub-judice. There is not just one case; there are other cases of extradition too. Obviously both the governments are working closely on various other issues and this is just one of those issues that we are working closely on,” he told the media, here. Sinha further said that the British Immigration Minister Brandon Lewis was in India and met Minister of State for Home Affairs Kiren Rijiju and discussed all the issues in this regard. Rijiju yesterday met the British Immigration Minister and said that as many as 13 extradition cases were discussed with the U.K. under the mutual legal assistance treaty. Referring to Vijay Mallya's extradition case, Rijiju said that ‘genuine efforts’ were being made by both the sides in the matter. "But at the same time, we can't also make a comment on something that is sub-judice, but the efforts are genuine," Rijiju asserted. 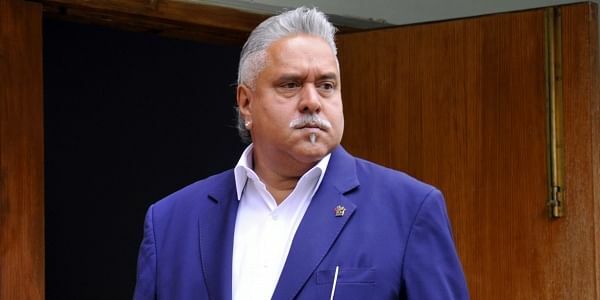 The Indian Government had made an extradition request in February to Britain to send back Mallya to face trial and since then the Indian Government officials have been pursuing the case of his extradition. The Central Bureau of Investigation (CBI) had earlier submitted request regarding the case against Mallya under the Indian Penal Code (IPC), 1860 and Prevention of Corruption Act, 1988 for his extradition from the U.K.
Mallaya, who has been staying in the U.K. for over a year now, is accused of defaulting on loans worth Rs. 9,000 crore to a group of public sector banks in India.